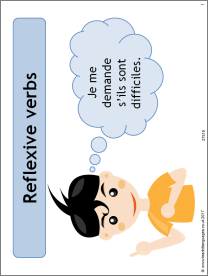 This PowerPoint reviews the concept of reflexive verbs and their formation in the present tense. It includes an odd one out activity and memory game. The differentiated worksheets contain a variety of activities for different abilities, including some which use reflexive verbs in different tenses.